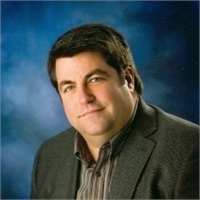 James Goedtke | Investors Choice Financial Services Inc.
James Dean Goedtke, MRFC, CSA® has been a registered securities representative since 1989 and registered principal since 1995. He spent his first five years with Ameriprise (formally IDS/American Express) before founding his independent financial planning firm Investors Choice Financial Services Inc. in 1995. Jim received his Bachelor of Science Degree at Minnesota State University in 1989. Throughout his career he has been the recipient of such accolades as Senior Financial Advisor designation 2003, 1998-1999 Marquis Who's Who in Finance and Industry, Registered Financial Consultant designation 1996, IDS Juniper Award-1993 for outstanding field training, voted by his peers as the Mankato Division Silver Planner-1992, received the Central Region Financial Award-1992 for being one of the top financial planners in the division, Top Division Planner Okoboji Sales Fair-1991, member of the IDS Silver Team-1992, 1993 & 1994. Jim was named as the first Tim Penny Fellowship recipient in 1988. He has been a member of the International Association of Financial Planning since 1991, and a member of the International Association of Registered Financial Consultants since 1996. Jim is also an active member in Real Estate Investments Securities Association (REISA), the Investments Program Association (IPA), Financial Services Institute (FSI) and The National Due Diligence Association (TNDDA). Currently he is a member of the Murray Lodge #199, Rochester Scottish Rite and El Riad Shrine In the past Jim has served as a director of the Slayton Chamber of Commerce, Co Chair of Relay For Life of Murray County and member of the Slayton Kiwanis. While Jim works with individuals in all facets of financial planning, he specializes in retirement planning and estate planning. Jim is not interested in quick investment transactions; rather his passion remains nurturing long-term relationships.